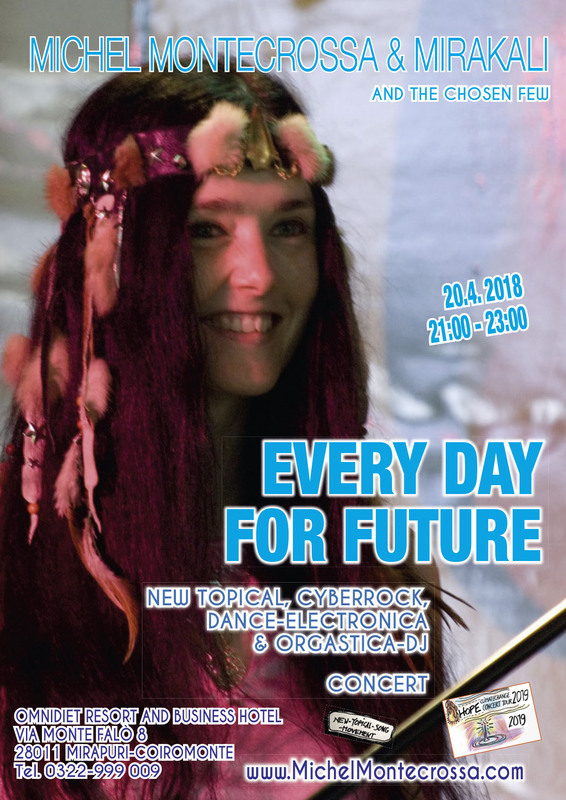 More great CyberRock and Electronica songs by Michel Montecrossa and Mirakali. This entry was posted in art, Art Photos / photos of paintings, Bob Dylan, Cyberrock, Dance, Electronica, Kunst, Kunstfotos & Gemäldefotos, Live Concert, Love, Michel Montecrossa, Michel Montecrossa Music Styles, Michel Montecrossa sings Bob Dylan, Mirakali, Mirapuri & Miravillage, Neuerscheinungen & News, Photo Art, Photos / Fotos, Posts, Social Climate / Climate Change and tagged Concert Photo, Country, Cyberrock, CyberRock & Electronica Tuesday, Electronica, Listen, live, Michel Montecrossa, Mirakali, Movie, portrait photo. Bookmark the permalink.